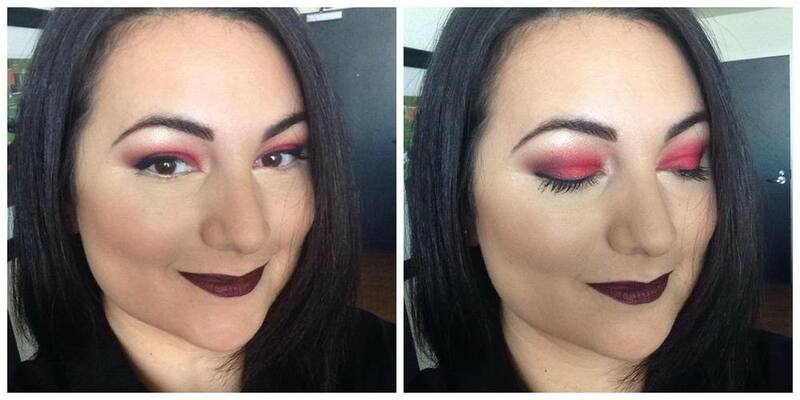 MAC 224 Tapered Blending BrushRecently, we started having Eyeshadow Wednesdays at work. You know, days where we try out a new trendy eyeshadow color or eyeliner technique that we spotted in an ad or magazine (or maybe even our own creation!). Everyone has a chance to try something new, apart from the norm. EW is a day where we can really have fun playing with our makeup, in a totally caring and supportive environment - no laughingstocks here! It’s one of my favorite days (it should be, I started it), so I have been experimenting with new colors and techniques. And my co-workers have taken notice, they keep asking me what I use to create certain effects. I tell them it’s all in the brushes! I tend to use 3 or more colors on my eyes. 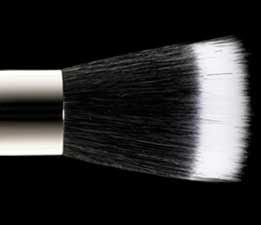 This sometimes can lead to hard lines of color, so I use this brush in my crease to blend them. I honestly use this brush every day. Trust me, it’s worth the money. Wanna know how to use it? Check out this MAC video! I use this brush for corners and creases. Since I add darker colors to these areas, this brush is perfect for applying just a touch of color without much fallout or mess. Plus I can blend a little with it. 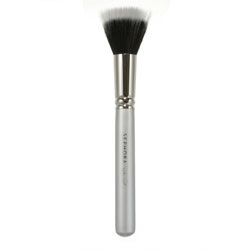 Again, this is another brush I use everyday – luckily I have three of them in rotation! Fan brushes are awesome. They can do so many things! I mostly use this to apply Laura Mercier Secret Brightening Powder under my eyes. But when I’m heading out for a night on the town, I use the fan brush to add a little MAC Cosmetics Iridescent Powder to my temples and cheeks. It’s also great for dusting off any eyeshadow fallout under the eyes. Now that I have shared mine, what are your favorite brushes? WOW. You know we are in a recession when....MAC Cosmetics sends an email out to save 25% of EVERYTHING online!!!! When have we ever seen this type of sale from MAC ladies?! Save 25% off everything* online! You are invited to take 25% OFF everything* in the entire online store! *Except VIVA GLAM products. At MACCOSMETICS.COM only. Regular shipping rates apply. 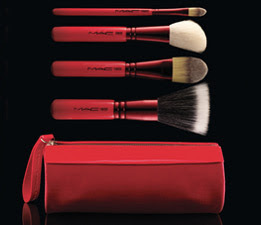 The amazing stippling brush - a must-have! Ever since I started wearing foundation, I've wanted it to look even, natural and of course - airbrushed! At first, I thought I had to wear the right foundation to achieve the look and I slathered on tons of liquid foundation. But after all the applications - still no flawless skin. Grrrrrrr. Then came my "ah-ha!" moment - I realized application must be the key! 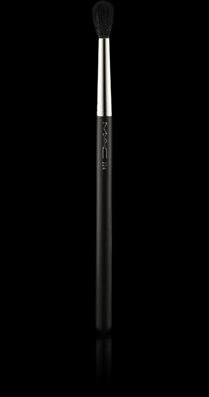 So after hearing a lot of hype about the 187 Duo Fibre Brush from MAC Cosmetics, I had to give the stippling brush a try. But man were they expensive! Luckily, MAC had a holiday kit with one in it, yay for me! I've played with it for a little while now and I am completely in L-O-V-E with it. Not only has it given me that wonderful airbrushed look, but it has saved me a ton of foundation. Gone are the days of sloppy foundation fingers and thirsty sponges that soak up waaaaaay too much of my precious Laura Mercier! Images from MAC Cosmetics.com and Sephora.com. 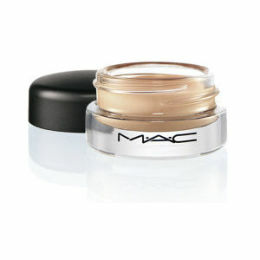 MAC Shopping Event-SAVE 15% thru tomorrow June 17th! SAVE 15% thru tomorrow June 17th!!! Friends and family save 15% off everything you love online thru June 17th. Use offer code MACFF8. Receive FREE STANDARD SHIPPING with all purchases. No offer code necessary. Offer is valid on June 16th on orders shipped to US addresses only. Receive FREE STANDARD SHIPPING with any Summer Selects purchase. No offer code necessary. Offer is valid through July 8th on orders shipped to US and Canadian addresses only.